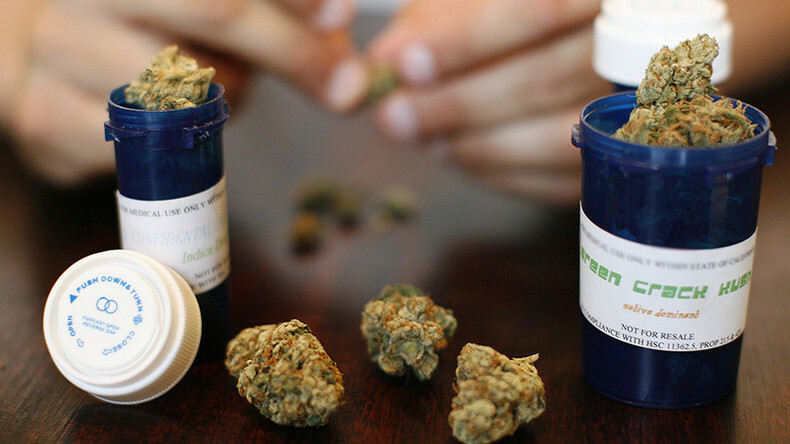 Republicans on the House Rules Committee rejected the ‘Veterans Equal Access’ amendment this week that would allow Veterans Affairs (VA) doctors to discuss medical marijuana treatment with veterans in states where it is legal. Rep. Earl Blumenauer (D-OR), who sponsored the amendment said he was “bitterly disappointed” veterans had been failed, despite the amendment receiving bipartisan support from 9 Democrat and 9 Republican co-sponsors. The lawmakers wouldn’t let the amendment be included in the House’s proposed VA funding bill for next year, meaning it won’t even be up for debate on the House floor. While medical marijuana is legal in 29 states, it remains illegal on a federal level, so VA doctors are prevented from discussing it with patients. The amendment would have allowed VA doctors to recommend and place patients on state medical marijuana programs. “We would be far better off if our veterans had access to medical marijuana and less reliance on opioids, which is literally killing them,” Blumenauer told Stars and Stripes. Veterans and support groups in the US have long pushed for access to marijuana, particularly for treatment of post-traumatic stress disorder (PTSD), as well as further research into its effects. According to VA statistics, between 11 and 20 percent of veterans of the Afghanistan and Iraq wars live with PTSD. For context, the VA says 30 percent of all Vietnam vets and 12 percent of Gulf War vets battle the disorder each year. The American Legion, a two million-strong conservative veterans group, called for a reduction in marijuana restrictions last year and, in May, called on President Donald Trump to allow marijuana research for veterans. “We were hearing these compelling stories from veterans about how cannabis has made their lives better," spokesman Joseph Plenzler said. "They were able to use it to get off a whole cocktail of drugs prescribed by VA doctors, that it is helping with night terrors, or giving them relief from chronic pain." The VA has come under fire for its failure to adequately treat returning soldiers. Prescription drug abuse rates are higher among vets than the general public, with opioid pain medications proving to be the most problematic. According to the National Institute on Drug Abuse (NIDA), pain relief prescriptions by doctors in the military increased four-fold from 2001 and 2009. "We need treatment that works,” Nick Etten of the Veterans Cannabis Project said in May. “We need treatment that is not destructive. The VA has been throwing opiates at veterans for almost every condition for the last 15 years. You are looking at a system that has made a problem worse the way they have approached treatment." Blumenauer introduced a similar amendment last year, which passed both the House (233-189) and the Senate (89-8). However, it was part of a larger appropriations bill that didn’t make the final cut after negotiations. There is some hope that the amendment will be approved, as the Senate’s Military Construction and Veterans Affairs Appropriations bill contains a similar amendment. However, Attorney General Jeff Sessions is staunchly against marijuana and penned a letter in May asking Congressional leaders to undo federal medical-marijuana protections.